As you travel along the coasts of Argentina with Azamara, you may find yourself in a constant state of awe—and no wonder. This country of stunning landscapes, vibrant cities, and fascinating cultural traditions is simply spellbinding. 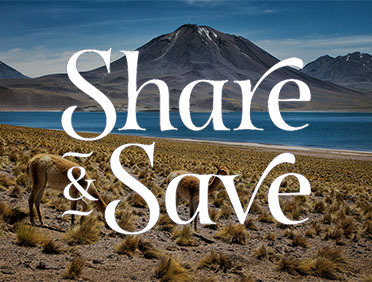 We’ll take you from the sensational streets of Buenos Aires to the resort town of Ushuaia—considered the gateway to Tierra del Fuego (Land of Fire), with its panoramas of gleaming glaciers, snow-capped mountains, and windswept steppes. Patagonia’s Puerto Madryn is home to fantastic whale watching, beautiful beaches, and the Valdes Peninsula. And in the Falkland Islands, expect to see British dishes like fish and chips and roast dinners on the menu, in addition to vast open spaces, teeming wildlife, and the world’s southernmost Anglican cathedral. Explore the excellent museums of MALBA, MUHU, and MAMBA, and local landmarks such as Recoleta Cemetery, Teatro Colón, and El Ateneo Grand Splendid, South America’s most opulent bookstore. Visit Argentina’s most famous square, Plaza de Mayo, to see renowned buildings like Casa Rosada, the Cabildo, and Buenos Aires Metropolitan Cathedral, the former parish of Pope Francis. Buenos Aires is a shopper’s paradise. Meander the markets and shops of Barrio Chino, stroll down Florida Street for souvenirs, or head to Abasto, the city’s largest shopping mall with over 250 stores. With its spectacularly diverse terrain, Argentina is a veritable Noah’s Ark of animals, including jaguars, pumas, ocelots, giant anteaters, howler monkeys, flamingos, Patagonian hares, and llamas. Marine life here is equally varied, with elephant seals, dolphins, sharks, sea lions, orcas, whales, and penguins, plus many kinds of smaller species like squid, salmon, and the king crab. 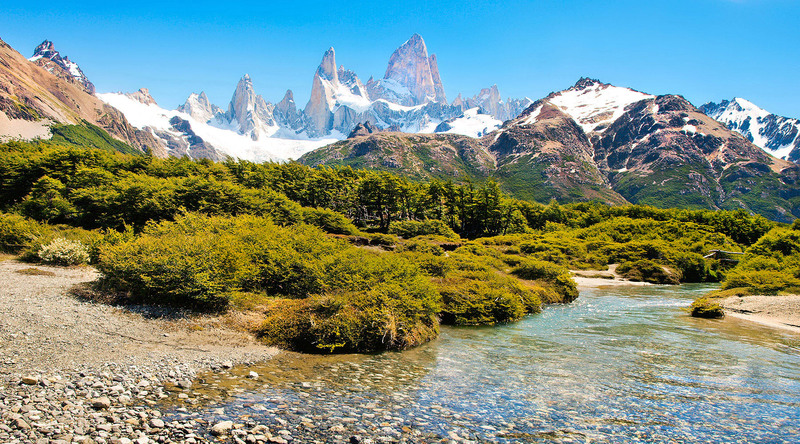 From the highest peaks in the Andes and the massive ice fields of Patagonia, to the Martial Mountains and Beagle Channel of Tierra del Fuego, Argentina is a treasure trove of natural wonders. Beef is synonomus with Argentina and for good reason: It’s superb. Order bife de lomo (tenderloin), ojo de bife (rib eye), or asado de tira (short ribs) at one of the many parrillas (steak restaurants). Once you take a beef break, try other regional specialties like dulce de leche, provoleta (Argentina’s version of a grilled cheese), empanadas, chimichurri, and the caffeine-infused yerba mate. Wine makers since the early 16th century, Argentina is now the fifth largest producer in the world. Be sure to sample a few Malbecs and Cabernet Sauvignons, and Torrontés, a tropical-tasting white.